Commenting on their achievements, Heydon said: “For the last sixty years the Tidy Towns competition has brought enormous improvements to our local towns, villages and rural areas. “Locally the enhancements brought about by our tidy towns committees give the whole community a lift. Everyone who rolls up their sleeves and helps out in their community voluntarily deserves admiration. “All groups have delivered visible improvements in our area. Your hard work has made our communities a more vibrant and better place. That is why this competition has flourished for 60 years.” said Heydon. 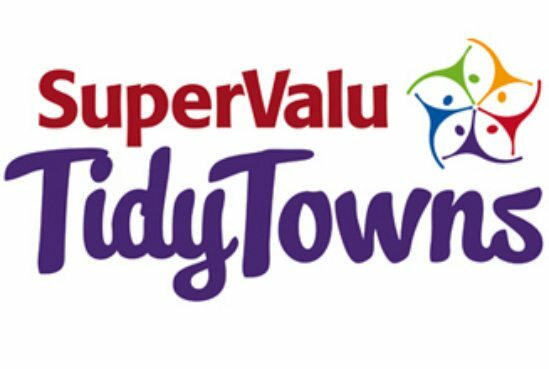 “Congratulations to Newbridge Tidy Towns and Ballymore Eustace Tidy Towns who both increased their score and were awarded a Silver Medals, and to Rathangan Tidy Towns who also increased their score and were awarded a Bronze Medal. “Special congratulations to Milltown Tidy Towns who received the Endeavour Award and to Ballymore Eustace Trout and Anglers Association/Ballymore Eustace Tidy Town who received the Waters and Communities Award. “On the occasion of the 60th anniversary of the competition, Minister for Rural and Community Development, Michael Ring TD is making available €1.4 million from the Government in order to directly support the Tidy Towns groups that bring out the best in our towns and villages. I have no doubt that towns and villages across the country will benefit hugely from this investment. “I encourage anyone who feels strongly about our community and our environment to get involved with Tidy Towns. The work carried out by Tidy Towns groups is so vital, not only in terms of keeping our communities looking beautiful – it helps improve the quality of life of residents. I will continue to support these wonderful groups in any way I can” said Deputy Heydon.